My mother's family hailed from present day Kozhikode, in the Southern State of Kerala. We therefore got to eat some dishes from that State as we grew up. I noticed that generally dishes from Kerala were cooked using coconut oil. 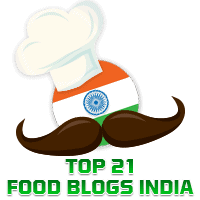 Elsewhere in this blog, you will find recipes for dishes from Kerala such as Mathanga Pulinkari, Ulli Theeyal, and Ash Gourd Pumpkin Coconut Stew or Kerala Olan. Today's recipe is for a side dish made with tomatoes, done in the Kerala style. 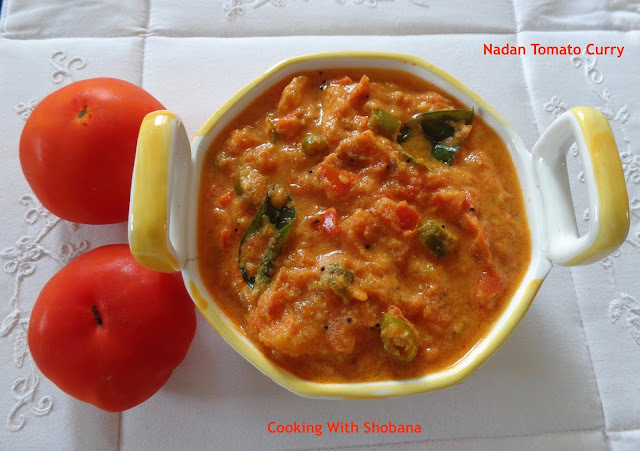 It has been adapted from Nadan Tomato Curry from Archana's Kitchen. We had this as an accompaniment for dosas and enjoyed the combination!! In a small mixer jar, first grind together fresh coconut gratings, cumin seeds and halved sambar onions. To this add 1/2 cup of water, and grind once again to make a smooth paste. Keep aside.